It is 2019, and the trend of VR being the next big thing is slowly moving forward. With big game developers slowly pushing their titles onto the VR, the future of VR does not look as bleak as it did 2 years ago when the first Oculus Rift came out. At current state of the market, there are several VR headsets available on the market that you can buy, which certainly is a good thing, but it is also important to know that this can cause confusion among people who are trying to look for a VR headset that suits their needs, and their budget. You might be wondering what the best VR headset of 2019 is, and you are going to find countless search options pointing at one or another. Keeping that in mind, this article serves those who are looking for a good VR option but do not want to get confused either. In this article, we are going to look at the 7 best VR headsets that are available in the market, and will get the job done for you. We are going to get a detailed review on all the available options, so you will not have to look elsewhere. You could almost say that HTC Vive is the headset that gave the VR a much needed push. 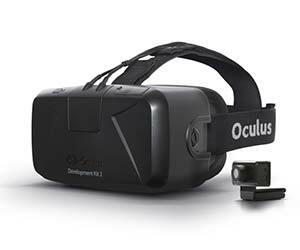 After Oculus’ developers kit came out, many realized that they wanted it. However, it was not as accessible as some of the other options available to people. Thankfully, HTC started working on their own VR, and soon the Vive was available to the general public. At the current moment, the HTC Vive is perhaps one of the best VR headsets available in the market; mainly because HTC partnered with Valve, and most of the game developers who publish their games on Steam do offer support for Vive right out of the box, which certainly is a great thing. In addition to that, the Vive does support almost all the VR content available, which again is a good thing. The HTC Vive also has intuitive controls which certainly is a plus point because the user will not be fiddling with the controls at all. As a matter of fact, you will actually be able to use the controls properly this time around. All of these good things only make you wonder if there are some negative aspects to the Vive as well. There are, but most of them are subjective to say the least. For starters, in order to have the best possible VR experience, you are going to need a moderately powerful GPU that runs games outside of VR as well. A GTX 1060, or above is generally what I would recommend. In addition to that, the Vive is slightly uncomfortable if you are using it for the first time, but over time, you will get accustomed to it. The best possible VR experience you can get. Has amazing, easy to use controls. Software partnership with Valve makes everything so much better. The headset requires a moderately powerful headset to work properly. It can be a bit uncomfortable in the start. 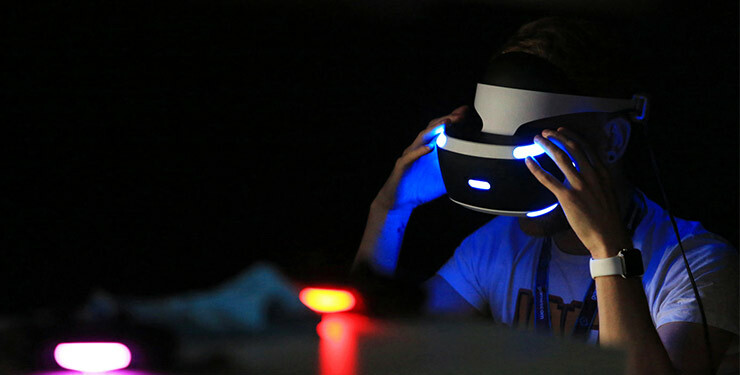 After Sony realized the potential of VR, and the demand among the gamers, they quickly went ahead and planned the launch of PlayStation VR, and I can only say that it was certainly a great move. Why? Because PlayStation had some great games, and having the VR capability just made things better; especially with exclusives where Sony and the developers can have the complete control over the games that are coming out in the market. 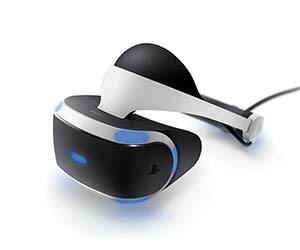 The PlayStation VR is undoubtedly one of the best things that have arrived for the PlayStation, and for many people, it certainly is an accessory that is a must have. Keeping that in mind, the biggest selling points of the PS VR is that it is much more affordable, and on top of that, the quality of games is almost as good as it is on PC. Not only that, there is a great selection of games that are already available on the platform, so you really do not need to wait for the time when you can finally use your VR headset. Don’t worry, Sony did not cut corners as far as the quality is concerned – however, you need to know that the PS VR does not come with all the required accessories which basically means that you will have to buy them separately. On top of that, the motion controlling system is a bit of hit and miss. If you are okay with these small issues, then the PlayStation VR is actually a great option that you can use without any issue whatsoever. As a matter of fact, it one of my favourite VR headsets in the market, and aside from that, it is also one of the best VR headsets in the market that will make your experience much better. Wide selection of games available. Does not come with required accessories. The motion tracking is a hit and miss. One could almost say that Oculus Rift is where it all started from. Sure, it took some time for the customers to finally get their hands on the much awaited Oculus Rift, but this is where it all began from, and despite VR still being only 2 years old, one can say that things have become much, much better. At the given moment, the Oculus Rift is perhaps one of the most famous if not the most famous VR headset available in the market. It is easy to setup, it is easily available, supports almost every game, movie, or app, and can be used with a variety of configurations with great ease. On top of that, it fits like a glove, which is a great thing for a VR headset. So, where does Oculus Rift fall short? Well, technically speaking, nowhere. Sure, it may give nausea to people who are buying it for the first time, but it should not be an issue for people who are used to VR headsets, and after a while, it becomes easier to use, and there is no issue whatsoever. Overall, the Oculus Rift is what I would imagine the VR to be like; everything falls in line so perfectly that you do not get any bad experience with the headset itself. Everything ranging from the compatibility, to the setup is simple and easy to handle. I would definitely suggest this headset to anyone who is looking to have a great VR experience. Sure, it might be too much to handle in the beginning, but once you start using it properly, the whole experience becomes much better. Offers an extremely refined VR experience. I would be lying if I say that Samsung was not the first company to think of bringing VR to the mobile platform, because they were. Even though VR support was the courtesy of Google, Samsung already had the Samsung Gear VR in mind. Ever since the release, Samsung is bundling the VR headset with one or another phone. Overall, I would say that the Samsung Gear VR deserves a place of its own; it is one of the most lightweight, and most comfortable VR headsets you can buy. On top of that, it supports all the Samsung phones that have come out recently, or 2 years ago, making it much easier for everyone to get the perfect VR experience. However, make sure that you remove the case from the phone, because you might have some clearance issues, the same goes for screen protectors, especially if you are using a tempered glass screen protector. The only real issue I have with the Samsung Gear VR is that the batteries on the controller cannot be charged. Which means that you will have to replace them. However, you can always buy the rechargeable Energizer batteries and use them instead, and it will be just as good. Still, an important thing to keep in mind. 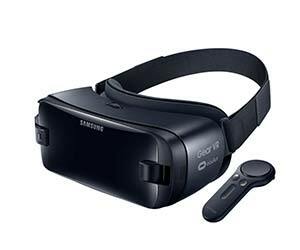 All in all, the Samsung Gear VR is actually a great option for all the mobile users, and despite being a Samsung device, it does support phones that are not from Samsung which certainly is a great thing. It has a good build quality, and considering how VR on Android is only going forward, it is great for media consumption, and even games. Lightweight and comfortable to wear for longer periods. Supports a variety of devices. Lot of VR content available right out of the box. The batteries in the controller are not rechargeable, but that is an easy fix. If Google is working so hard to make VR a possibility on Android, then it is safe to say that company’s very own VR headset makes more sense than anything else. Yes, in case you have not guessed it already, I am talking about the Google Daydream View. Honestly, when Google announced that it is stepping into the VR industry, it did not look like much of a surprise as it was something that was geared to happen since the beginning. The Google Daydream View is a very refreshing take on the mundane looking VR headsets that we have come to expect from the companies. Don’t get me wrong, it still looks like a VR headset, but it is covered in a cloth like material that gives it the distinct look. As a matter of fact, you can find the same material on the Google Home Mini. I have to admit, it really is a relaxing change of tone, and it looks wonderful to say the least. But is it really a great option? Well, it certainly is in my case. The VR headset itself is affordable, easy to setup, and even easier to use; plus, the amount of great content already available from different providers just makes the whole experience much better. If there is any issue I have with the VR headset, it is just that there is a light bleeding issue, but I believe Google can fix that in the updated batches, or the next version for that matters. 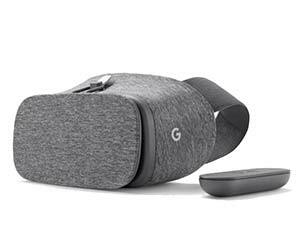 Overall, the Google Daydream View is a great VR headset that will serve you well under most of the conditions, and I can assure you that you will have no issues whatsoever. A very inexpensive solution to VR. The remote control is a wonderful addition. The VR headset suffers from a light bleeding issue. 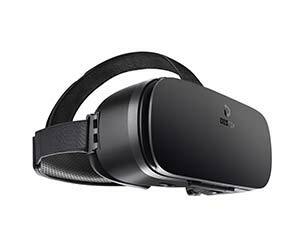 If you are actually looking for a VR headset that is not made by a big company, and is relatively cheaper as well, then don’t worry, we have you covered. The Destek V4 VR headset is one of the cheaper options available in the market, and it is the perfect one for those who are not in the to spend a lot of money and still want to be able to enjoy a good VR experience. For added benefit, the headset itself is compatible with all VR applications, as well as AR, and the overall fit and finish is comfortable. I was actually surprised after I checked it out considering the low price of the headset, but it is a must have at the given price. Another great thing is obviously the comfort level which I have already discussed before. There are some things that I would like to change about this headset though, for starters, the headset uses the clamp mechanism which has become older as compared to what the new VR headsets are offering. On top of that, you should also know that the headset has light bleeding issues, but the good thing is that they are very minor. Overall, I would say that the Destek V4 VR headset is a pretty good one if you are looking for something affordable, and you do not want to spend a lot of money either. It is not the best, but it will take care of most of the VR needs. The VR headset is inexpensive at best. The VR headset is comfortable to wear. Supports almost all the VR content. The headset also has support for AR. The clamp mechanism is not the best one to have. The headset has a light bleeding issue. Honestly, the fact that this VR headset exists in the first place is strange at best. I do not know what Google was thinking when they released this. Perhaps they wanted to create a VR headset for the masses that can deliver the VR experience to everyone regardless of how much their pockets can actually allow, or maybe they wanted to release something for the kids. 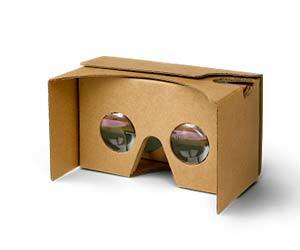 Whatever the case is, the Google Cardboard is basically a VR headset barebones. It is literally made out of a cardboard that you have to assemble yourself, and once it is done, you can start using it with multitudes of devices that are supported. I have said it before, and I will say it again, the whole idea feels very weird, but it certainly is one that works. Once you put together the VR, all you need to do is to just the VR. I would say that this is a true, no-non-sense VR experience and if you are looking for exactly that, then go right ahead and buy the Google Cardboard. I don’t think I can comment on the build quality as much because it literally is plastic, and nothing else. 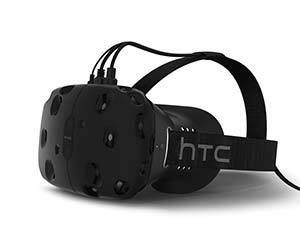 However, it still is a decent enough option for anyone who does not want to spend a lot of money on a VR headset. I mean, you get what you are paying for so I would assume that is fine. The VR headset is as cheap as they come. Supports everything VR headset would. It is made out of cardboard. The conclusion is rather simple. Despite the fact that VR headsets have become common, for a lot of people, they are still not as common as some would want them. Keeping that in mind, the list only contains the best VR headsets you can find at the moment. If you are wondering why we did not include a lot of options, that is mainly because there are not a lot of VR headsets that are good enough, so that does count in this situation. Keeping that in mind, we hope this list helps you out buying the best possible VR headset in the market.